There are three cameras in the GoPro HERO7 lineup, ranging from the flagship Black down to mid-range Silver and the entry-level White. GoPros don't come with memory cards as standard, so unless you're buying one from a retailer that has bundled a memory card with the camera, chances are you'll have to buy a card separately. My aim with these recommendations is to make that easier and to have confidence that you're getting one that works well in these cameras. Of these three cameras, the HERO7 Black is by far the most demanding when it comes to choosing an SD card. That's because of the high bitrates it uses to record its high-resolution and high-framerate HEVC video modes. When you're shooting with those, the camera needs to be able to write a lot of data to the memory card very quickly. And that requires a memory card that can keep up. While it's not hard to find cards that will work well, it's also quite possible to get the wrong card, which can lead to errors and the camera stopping recording unexpectedly. 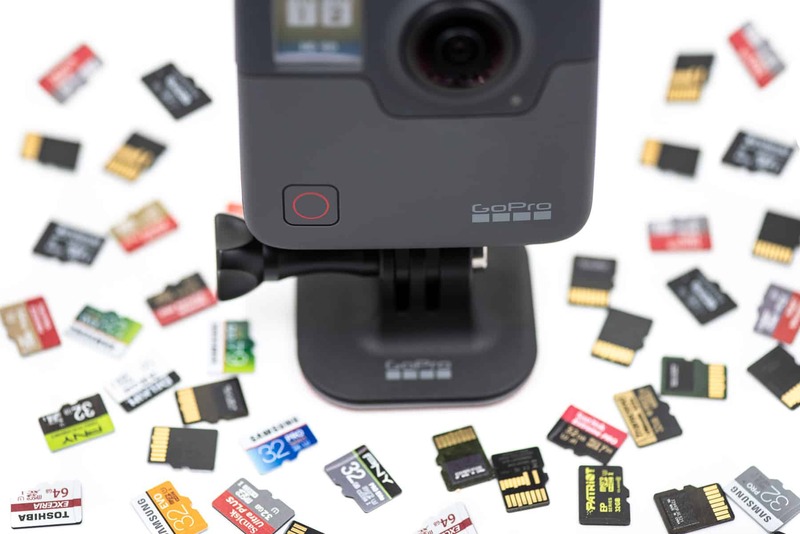 If you just want to cut to the chase, here are some quick recommendations for the best SD cards to use in GoPro HERO7 cameras. These are good for all of the models in the range, including the Black. The Silver and White are less demanding of the memory card, so you can get away with lower-speed cards and, potentially, less-expensive cards. If you're using the Silver or White, I have some specific recommendations further down the page, but in the meantime, these quick recommendations are safe bets for all the HERO7 models. Any of these make for a good choice. If you'd like more detailed recommendations or other brands and models, you can find them below. 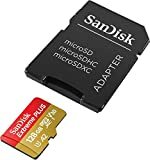 So here are my recommendations for which memory cards to use with the HERO7 models. I make a point of buying and testing as many SD and microSD cards as I can (you can see those test results separately), so I'm lucky enough to have on hand many of the major current memory cards available. 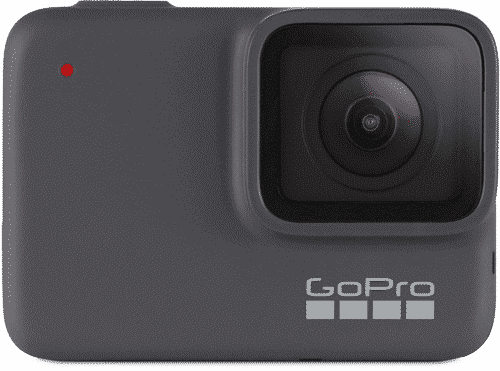 The GoPro HERO7 Black's maximum video bitrate is 78 Mbps, which is the same as the HERO6 Black. That's the highest of the three HERO7 models, and it's the most demanding on SD card speed. So if you're shooting with the HERO7 Black, you'll want to be a little picky on which memory card you choose; you can afford to be a little less picky with Silver and White. So here are some more detailed recommendations for the HERO7 Black. If you've been shooting with a HERO6 Black, you'll notice a lot of overlap here. That's because both models max out at 78 Mb/s bitrate, meaning that the same cards will work with both models. The Extreme Pro line is SanDisk's top-of-the-range line. It's faster and fancier than even the HERO7 Black needs--the regular Extreme and Extreme Plus cards work just as well in the camera--but if you're going for the top of the line and want to be confident of being able to use the same card even if you upgrade your camera in the future, this is it. SanDisk has recently refreshed the Extreme Pro line, and there are now 64GB, 128GB, 256GB, and 400GB versions. 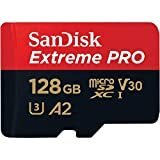 Fast, cost-effective, reliable, and widely available, the SanDisk Extreme cards are safe bets for a wide range of uses, including the GoPro HERO7 Black. 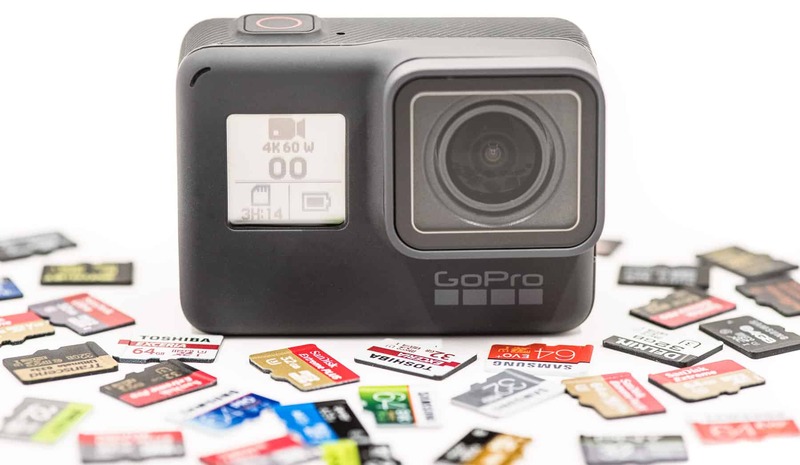 Extreme cards are the ones that GoPro themselves often bundle with their cameras and sell on GoPro.com, and it's one of the ones they officially recommend in their "Works with GoPro" certification program. From my tests, it is plenty fast enough for the 4K60 and 1080p240 video of the HERO7 Black, but it's also cost-effective enough to be an excellent choice for the Silver and White editions as well. The latest version of the SanDisk Extreme comes in 64GB, 128GB, 256GB, 400GB, 512GB, and even new 1TB versions. SanDisk uses a three-part model numbering system in the format SDSQXA1-064G-AN6MA. In this example, SDSQXA1 is the model number, the 064G refers to the amount of memory, and the last 5 characters are used by the marketing department for different parts of the world but the cards are otherwise the same. So the first part is the crucial part if you're looking to see which model the card is, and you don't have to take much notice of the last 5 characters. Samsung makes several excellent microSD cards and have a somewhat confusing naming system that doesn't always make clear what the difference between the models is. The Select is one of their better cards but is also very cost-effective. Like SanDisk, Samsung recycles the series names. The latest version of the EVO Select is available in 32GB, 64GB, 128GB, and 256GB sizes. Alternatively, the EVO Plus line also works well. During 2017, Lexar went through some corporate upheaval, but now that they're under new ownership, supplies of their memory cards seem to have stabilized. 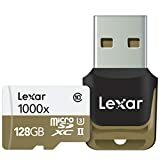 Lexar has always to put more emphasis on marketing the read speeds of their cards--in this case, 1000x or up to 150MB/s--but several of their cards have write speeds fast enough for GoPros shooting 4K video. This is one of the newer ones and is rated for a write speed of up to 45MB/s. It comes in 32GB, 64GB, and 128GB versions. The Extreme PLUS line is a relatively new addition to SanDisk's product lines and, as you'd expect, this is a step up from the standard Extreme. In my tests, the Extreme PLUS does have a faster sequential write speed than the Extreme, but you won't get any added benefit from that in the camera--both exceed the speed requirements of the GoPro's data stream. The latest version is available in 32GB, 64GB, 128GB, 256GB, and 400GB sizes. SanDisk's Pixtor range is the same as SanDisk's Extreme range--it's simply a rebranded version that's designed as a house brand for Best Buy. But their labeling is not as clear as it could be. The one you want is the SanDisk Pixtor Advanced, which is red and gold, but the card itself doesn't have the "Advanced" part printed on it. There's another version, which is just the SanDisk Pixtor, which is red and gray; that's the equivalent of the SanDisk Ultra and isn't fast enough for the GoPros. These cards by Delkin are one of the few currently available that come with the new V60 rating for recording 4K and 8K video. It's also a UHS-II card and comes with a UHS-II SD adapter cartridge (most other adapter cartridges are UHS-I). I use these a lot in my GoPros and have found them to be fast and reliable. 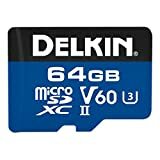 Which SD Cards for the GoPro HERO7 Silver? The HERO7 Silver's maximum video bitrate is 60 Mbps. That's the same maximum bitrate used in the HERO5 Black and HERO4 Black. You can safely use any of the cards listed above for the Black; they'll also work well in the Silver. And for the most part, I'd recommend going with one of those. But because the Silver maxes out at a lower bitrate, there are also some other cards that will work well in the Silver but not so well in the Black. Probably the most notable in this category is the Lexar 633x cards. They're good cards, widely available, and tend to be very cost-effective. Another popular option that's quite similar is Transcend Ultimate 633x U3 card. 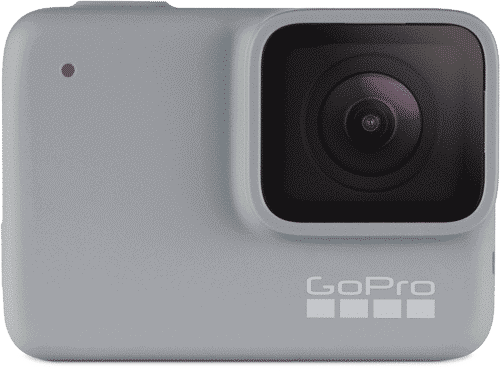 And another one that GoPro doesn't recommend for the Black but does say works well with the Silver and White editions is the Samsung Pro Endurance line (I haven't tried them yet). Which SD Cards for GoPro HERO7 White? The entry-level GoPro HERO7 White has lower video capabilities, and its maximum bitrate is 40 Mbps. That makes it less demanding of the memory cards, so you don't need one quite as fast. That said, I'd still recommend sticking to one of the cards above when possible. There's really not much reason not to. Several of the ones above are very cost-effective, and you can often find the current generation of newer, faster SD cards priced more affordably and easier to find than the older, slower cards. Why Do You Need a Fast SD Card for the HERO7, Anyway? For the past several generations of GoPros, I've been putting together recommendations on which SD cards work best in these cameras. I started doing them when I first got burned with a card that was too slow for the HERO3 Black. 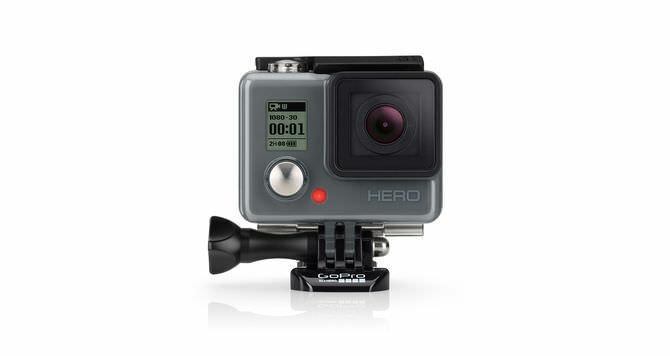 Since then, the capabilities (and, importantly, the video bitrates) of GoPro models have only increased. In turn, that has required better and faster SD cards to keep up. Thankfully, memory card manufacturers have come through, and it's easy to find cards that work well in the HERO7 without paying an arm and a leg. But that's not to say that you can just choose any old SD card and expect it to work well--there are some minimum requirements. So not every SD card will work well in the HERO7 Black. You won't break your camera if you use an SD card that's too slow, but you can end up with some pretty unfortunate side effects. You might have already found this out the hard way if your recordings have stopped unexpectedly or you've been getting SD card errors. Those are the most common issues you can run into with a slower SD card, but you can also get the camera overheating or shutting down. You might see an error message, you might lose footage, or the camera might lock up. Or maybe you'll get all of the above. Some memory cards can also provoke write error messages and cause excessive battery drain, although those issues tend to be less common. But the upshot is that if your GoPro is behaving strangely, one of the first things to check is the microSD card. The most significant requirement the HERO7 Black makes of the SD card is that it be fast enough. But it has to be a specific type of fast, and often the speed ratings you see on SD card packaging and marketing materials are often referring to characteristics that aren't directly relevant to our requirements. Usually, the speed rating you see in memory card marketings materials refers to the read speed. That's the speed at which data can be downloaded from the card. But when choosing an SD card for the HERO7, what we want to look for is the speed at which data can be written to the card. And even then, it's a specific type of writing: sequential write speed. Some cards are designed to be fast at a different type of writing: random write speed. Those are well-suited to gaming or mobile computing devices, but that particular measure is not directly relevant to shooting video with a GoPro. It's always good practice to format the memory card in the camera rather than with a computer. And to do it regularly (once you've safely downloaded and backed up your photos and video, of course). That makes sure that the card is prepped in such a way that the camera needs it, and it reduces the risk of something getting messed up. 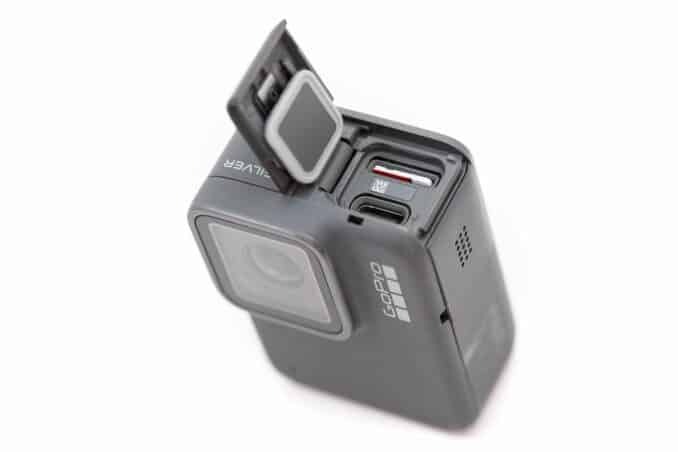 Formatting the SD card in the GoPro HERO7 models isn't complicated, but if you're used to the way to do it on earlier GoPros, the new models is slightly different. But only because the camera's menu system has been tweaked. You can now find the option under Preferences > Reset > Format SD Card. The Reset bit made me pause the first time because I definitely didn't want to do a factory reset. But in this case, it's a subcategory title option, not actually resetting the camera (those other reset options are under the same subcategory screen). If you're using the GoPro mobile app, it's still in the same place as with previous models, although, confusingly, the wording is different than it is on the camera. 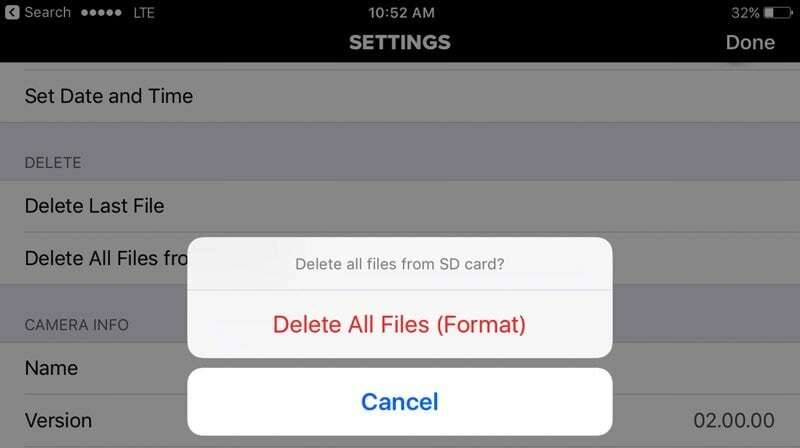 You find it under Settings > Delete > Delete All Files from SD Card. I've also put together a more detailed guide on how to format an SD card for GoPro cameras here. Here are are some answers to questions I've gotten from readers. Can You Use UHS-II Cards in the GoPro HERO7? Yes, you can safely use UHS-II cards in the GoPro HERO7, but you won't get any benefit compared with using a UHS-I card. The camera's own bus interface is UHS-I, so if you use a UHS-II card it will still roll back to UHS-I. Can You Use a 128GB or 256GB or larger card in the HERO7 cameras? Yes, so long as those cards properly conform to the microSDXC spec and they're otherwise fast enough, you shouldn't have any issue. But be aware that there are also some very large capacity cards in the 400GB and 512GB ranges that are too slow for the HERO7 Black (eg. in the SanDisk Ultra range), so be sure to stick to ones that are fast enough. The SD card slots aren't in the same places on all of these models. 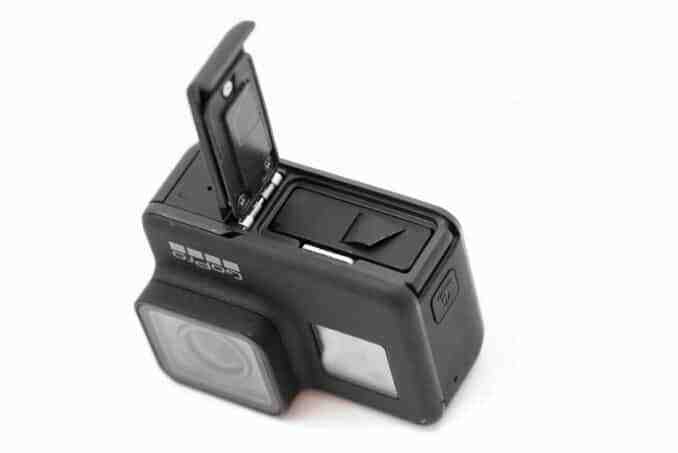 The slot for the SD card on the HERO7 Black is in the bottom compartment, next to the battery. 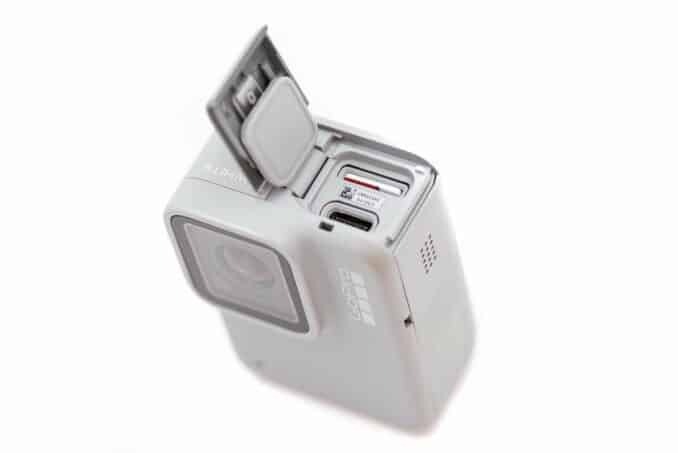 The SD card slot on the HERO7 Silver and White is in the side compartment, next to the USB-C port. I'm not aiming to create a comprehensive list of every card that works with the GoPro HERO7 cameras. There are some other cards that also work well; I'll update this list as I have a chance to test them or as new models come out. There are also other fast cards that simply aren't easy to find or aren't cost-effective when you do. I'm most interested in ones that are readily available and reasonably priced. What I am trying to do is present some options so you can choose a card and be confident that it's compatible. 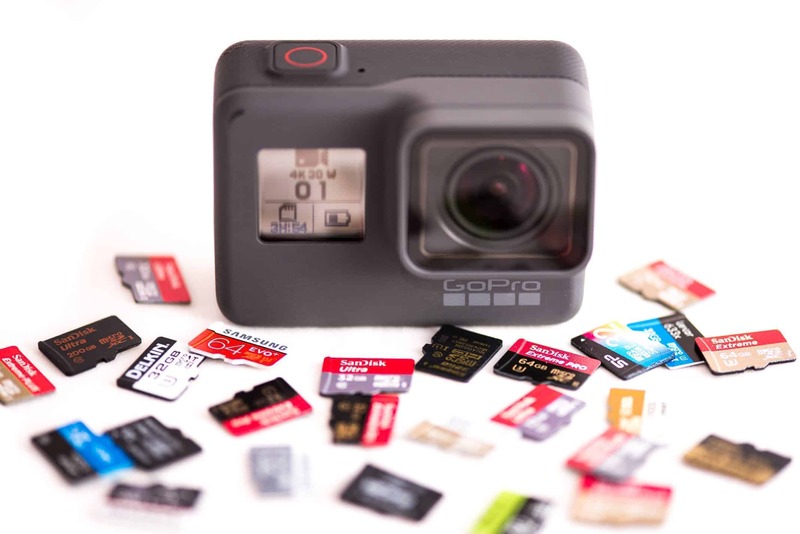 GoPro does have their own official list, and I've consulted that in compiling these recommendations, but it doesn't always stay up to date with the latest versions of the memory cards. I'll do my best to keep the recommendations above up to date with the latest versions of the memory cards. So this list is a combination of GoPro's official recommendations and my own real-world testing in the cameras, not on card manufacturers' speed claims. I do my own [independent microSD speed tests. To make it onto this list, the cards have to have demonstrated that they can handle the video and photo modes that generate the most data--particularly 4K60 with Protune and 1080p240. You'll want a microSD card for the HERO7 cameras. Those are physically smaller than SD cards that you might be used to with larger cameras. Smartphones also use microSD cards, which is a common place you might have come across them. In terms of storage capacity, measured in gigabytes, you can safely use any of the currently available sizes. So if you want to use a 16GB card, you can (although you'll run out of space pretty quickly). Or if you want to use a 256GB card, knock yourself out. The current sweet spot in terms of convenience, availability, and price, tends to be around the 64GB to 128GB sizes. Although the prices of 256GB cards are coming down all the time, making them a much more viable option. There are also now 400GB microSD cards becoming available. You can use either microSDXC or microSDHC cards in all the HERO7 models. This isn't a performance rating. It refers to the formatting system used on the card. The cards you buy will be microSDHC if they're in the 16GB to 32GB range, and they'll be microSDXC if they're 64GB or larger. You can find a more detailed explanation below. You'll see the current generation of cards marked with either UHS-I or UHS-II (or sometimes UHS-1, which is technically incorrect). This is labeled with either a small I or II on the card. 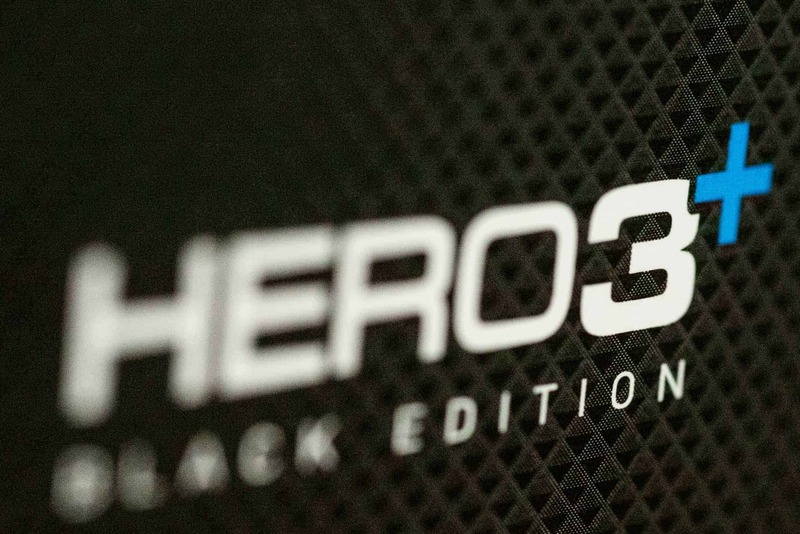 The HERO7 cameras use the UHS-I host specification, so you won't get added benefits if you put a UHS-II card in them, but it still will work because of the way that the specification is designed to roll back gracefully to UHS-I. SD and microSD cards also have a speed rating system that refers specifically to recording video. Annoyingly, there are three different generations of ratings. Older cards used a rating such as Class 10 or Class 4. They're generally too slow to work well in the HERO7 cameras. A newer speed rating system uses either a U1 or U3. U3 is faster than U1 and is generally a safer bet, especially if you're using it the Black or Silver (although there are also several U1 cards that are plenty fast enough). Finally, there's an even newer scale, which you'll see written as something like V60 or V30. Those refer to even faster ratings. So the short version is that if the card has a "V" rating, it's fast enough. If it has a U3 rating, it's fast enough. If it has a U1 rating, there's a good chance it's fast enough. And if it only has a "Class 10" rating, there's a good chance it's not fast enough. Adding to the confusion, cards can have all of these three rating systems on the label. So a card might have Class 10, U3, and V60. In those cases, you only need to take notice of the highest rating system, which in this example would be V60. A common source of confusion with the speed of memory cards is the difference between Mb/s and MB/s (or Mbps and MBps). It's a little thing, but it matters. Video bitrates are conventionally measured in megabits per second, which is sometimes written as Mbps or Mb/s. The speed of memory cards is conventionally measured in megabytes per second, which is written as MBps or MB/s. There are 8 megabits in 1 megabyte. So 60Mb/s (megabits per second) is equivalent to 7.5 MB/s (megabytes per second). Unfortunately, that's not the end of the story. It would be nice and easy if that meant that you could just make sure your card had a write speed faster than 7.5 MB/s, but there are other factors that come into play, including inflated manufacturer speed ratings, sustained speeds vs peak speeds, and the role of host devices and connections. All of which means that it's best to stick to cards that are known to work rather than try to cut it too fine with measurements. Another common source of confusion is that not all memory card manufacturers use the same speed measure. Some manufacturers use a more cryptic "x" rating in place of MB/s. Lexar, in particular, has long used this system. It comes from the old way of measuring the speed of CD-ROM drives when the standard speed of a CD-ROM drive was 150KB/s. Each x, therefore, equals 150KB/s. But that's obviously not particularly useful today, and thankfully more and more manufacturers are adopting the more conventional of using raw MB/s numbers. What's the Difference Between microSDHC and microSDXC Cards? As I said above, microSDHC and microSDXC don't refer to a performance rating. They refer to the kind of storage formatting they use (microSDHC cards use FAT32; microSDXC cards use exFAT). These are specifications adopted by the SD Association. In practice, you'll see minimal, if any, difference in terms of performance. But there is one aspect where you will see a big difference: microSDHC cards are 32GB or smaller while microSDXC cards are 64GB or larger. All of the HERO7 cameras are compatible with both the microSDHC and microSDXC formats, so you can use either. Technically, it's possible to use a computer to format, say, a 32GB microSD card with exFAT or a 128GB card with FAT32. But doing so goes against the SD Association specifications, can cause problems in some cameras, and they'll be overwritten to the appropriate standard next time you format the card in the camera. In general, I don't recommend it. Just like SD cards, microSD cards are assigned a class rating that refers to their speed in writing data. Each category corresponds to a real-world video recording use. These apply the same to microSDHC and microSDXC cards. Where things get a little complicated, though, is that these speed ratings don't necessarily reflect the absolute speed of the card. Put another way, a card that has a V30 rating isn't necessarily faster than one that has a U3 rating. That's because to display the rating on the card, the manufacturers have to have their cards certified for that rating. It also involves revising packaging and marketing materials, which is an expensive process. So not every manufacturer will go to that trouble and expense right away. The upshot is that it's not as simple as just looking at a card with a V30 or even V60 rating and knowing that it's faster than one that only carries a U3 rating. It might be, but the rating system doesn't work quite that way. You can see evidence of that in the speed test results on this page, with some cards with a lower speed rating being faster in testing than ones that display a higher speed rating on the packaging. 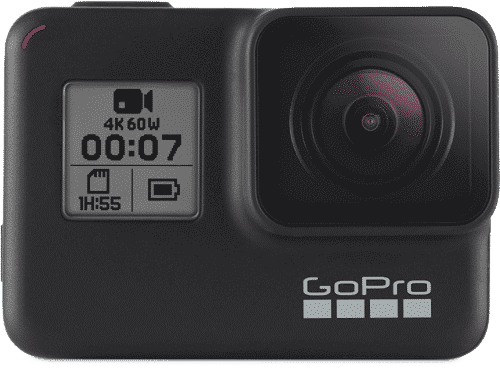 How long can I record 1080 with a sandisk extreme pro 64gb in the gopro hero 7 black? There will be two issues: storage space and battery life. Without external power, the battery is likely to die before you fill up the card. But since I happen to have all the ingredients sitting on my desk right now, I'll right that exact experiment right now with external power and check back in when it's done. I'll run it at 1080p60 without Protune. Turning Protune on uses more space because of the higher bitrate. 6 hrs and 18 minutes. That's at 1080p60 with Protune off.